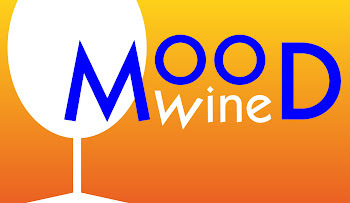 We have a new home for mooodwine.com. Enjoy! David Raffaele is one of Temecula's newest winemakers and a rising star for SURE! He represents a new hip winemaker upswing and is the winemaker for Keyways Winery. David is passionate about wines that come from the Mediterranean climates like Temecula. His focus is on Spanish and Rhone style wines. 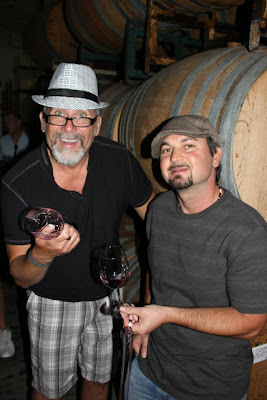 He is another of the winemakers I've written about for Inland Empire Magazine, I'll include the copy of that article at the end of this post so you can get to know him better.... trust me, you'll want to taste his wines once you do! 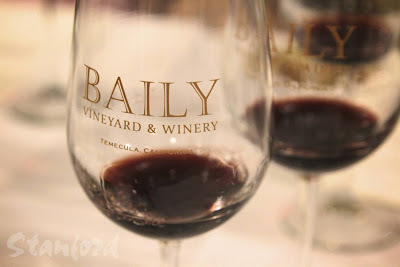 Wine Tasting in Temecula #4 - Bailey Meritage Library! As our day of wine tasting progressed with our Flame the Vines weekend, we headed to Baily Winery for our third stop. Phil Baily is awesome... one of my personal favorite winemakers in Temecula whom I respect immensely for his tireless work in keeping Temecula wine country protected from housing development take-over! At the end of this post, I'm including the text from an article I wrote on Phil for Inland Empire Magazine, if you read it, you'll discover his winery is one of the iconic gems of Temecula. The maestro in his kitchen. Breakfast in Temecula - French Style! This is a home-cooked blog designed and constructed by Mood Wine LLC (c) 2012 (Jake did it).